I recently bought a second hand bike. It rides pretty well, the only nuisance I have is that the previous owner has spread some lubricant on the seat post. I am pretty sure of this because I see on the tube a greasy black material which goes all the way to where the tube goes into the frame. So now when I ride it the saddle gets lower and lower, no matter how I tighten it (at a rate of about 2 cm/100 km). So far I have tried to clean the post and inside if the seat tube with a paper towel, which became black as I expected. as you can see it there is already a spacer, and there is no quick release. What is the best way to remove this lubricant? This is an XY problem. Seatposts should be lubed. While removing all lube may solve your slipping problem, it will likely do so by making the seatpost corrode into place, which isn't something you want. Instead, fix or replace your seatpost clamp, and/or make sure your seatpost isn't undersized. Remove the cranks, bottom bracket and seat post. Make sure there is a decent hole between the seat tube and bottom bracket shell (might depend on the frame). Ram rags down the seat tube with a broom handle and extract them via the bottom bracket shell. Once the bulk of the grease is removed (or pushed to the bottom of the seat tube) soak a rag in degreaser (WD40, white spirit, citrus degreaser etc) and ram it through to remove the last traces. This would be a bit of a pain though and you might not have the tools or knowledge to remove and refit a BB. You could instead try tying a strong cord to the rag so that you can ram it down the seat tube then pull it back out. If the cord breaks or slips though you'll be back to removing the BB or you will just have to leave the rag there. You should also ask why the seat post is slipping, as they shouldn't do so even when greased. Actually, it is normally recommended that you grease seatposts lightly so that they don't seize in place. Could there be something wrong with the seat clamp? Alternatively, seat posts tend to slip when they are slightly too small for the seat tube. It seems annoyingly common for manufacturers not to spec the seat tube diameter properly but it could be that the previous owner replaced the seat post with one that is too narrow? If you are dealing with a screw-type seat post clamp (as opposed to a quick release) and you are doing it up as tight as you can in an effort to stop it slipping then I would strongly recommend that you carry a spare one with you. I have broken a seat post clamp doing the same thing and it was quite a miserable cycle with no saddle to the nearest bicycle shop 10 miles away. If you have a quick release seat post clamp my gut feeling is that you could improve your clamping force by moving to a screw-type one. Get one with a large diameter screw if possible but make sure that screw is made of steel! Some use aluminium for the screw which is garbage. Also preferably get one where the screw threads into a steel insert rather than into the aluminium body of the clamp. Edit: As the commenters have said, carbon frames should not be greased. They use an anti-slip or 'carbon assembly' paste. This paste might help you even if your frame is not carbon; I've never managed to get a straight answer on whether it works for metal-on-metal contact. Also the double seat post clamp linked by Carel Looks brilliant. I've not seen such a thing before. Hang the bicycle upside down, on a stand if you have one, but you can also simply suspend it with a bit of rope. Next, you can easily clean the inside of the tube with a bottle cleaner dipped in solvent. Since the bike is upside down, there is no need to remove the cranks and BB. Gasoline or paint thinner works well to remove grease. 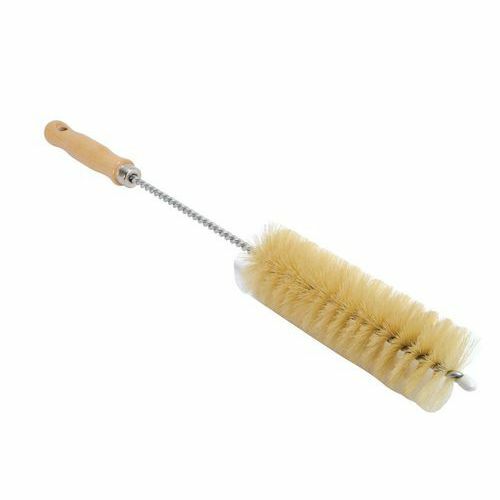 The last bit of grease can be removed with something more volatile that doesn't leave a lubricating residue, like brake pad degreaser (or better chain degreaser) for example. As Carel says: "Use volatile solvents and products outside! Test the effect on paint first. Don't use with carbon parts and keep away from decals and similar." 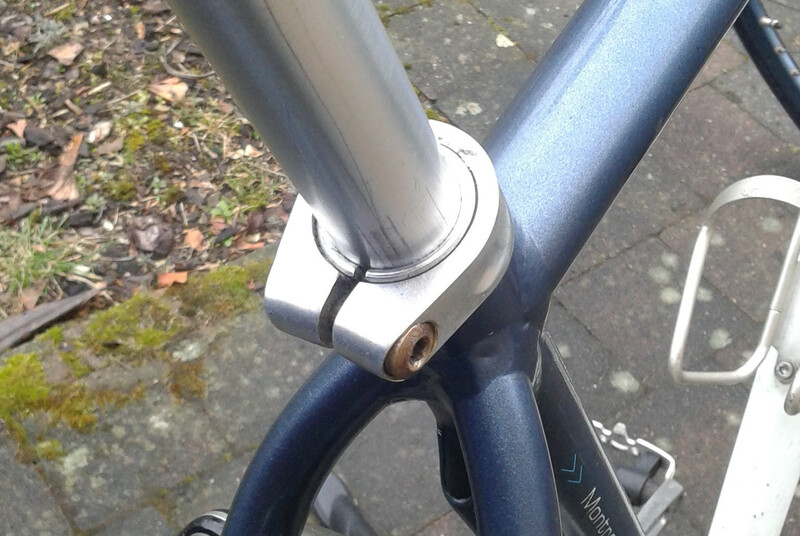 On one of my bikes, and a previous one, I've had to use a second clamp around the seat post, with an aluminium spacer. Both are cheap steel bikes but even tightening the built in clamp as hard as I dare it doesn't hold. That's with no grease. On yet another cheap steel bike I snapped the clamp bolt trying to do it up hard enough to stop this happening. The slot in the back can be a focus for water to enter the seat tube and weep its way down into the bottom bracket. Especially if you don't have a rear mudguard/fender. One common solution is to fit a short section of old tube so it covers the whole clamp and slot area. If you fasten this tube to the seatpost with a ~1.5 inch hose clamp, that can provide enough resistance that the proper seat post clamp does its job. Downside, its a dirty hack bodge fix, and makes your nice bike look strange. Having a small amount of anti-seize inside your frame seatpost mount is a good idea, because it stops them seizing in place. Could be yours has grease, where something like copper antiseize paste would be better. The grease in the seat tube doesn't matter and can help with the post getting stuck later in life. Just clean the imeadiat area where the post and clamp intersect one another. That will stop the creep. Not the answer you're looking for? Browse other questions tagged seatpost lubricant cleaning or ask your own question. How do I remove rust from my seat tube? Should I oil my seat post? Can I use a seat-post clamp/collar on the seat-post itself to prevent slipping? How to remove alu seat post from carbon frame?